Dr. James Parrish and his team here at Mid Louisiana Surgical Specialists are excited to announce the arrival of a new, non-surgical weight loss treatment technique that is rapidly gaining in popularity: the ORBERA™ Managed Weight Loss System. ORBERA™ is a comprehensive, medically supervised weight loss program that has shown to deliver remarkable results… and it does not require invasive surgery or extensive downtime. The ORBERA™ system is a multi-stage program designed to use a number of tools to help you lose weight and maintain your weight loss over time. The first step focuses on controlling your food intake. An intragastric balloon, recently approved by the U.S. Food and Drug Administration, will be placed inside the stomach and subsequently inflated. The balloon is inserted down the throat, so there are no incisions or surgery necessary. For a six-month period, the balloon should help you attain an earlier feeling of fullness at mealtimes, which can ultimately lead to significant weight loss. Once the balloon is removed by Dr. Parrish, a team of weight loss professionals will be on hand to help you maintain your weight loss and even lose more weight. This managed weight loss program can ensure you have the support necessary to establish good dietary and fitness habits in order to live a much healthier lifestyle. 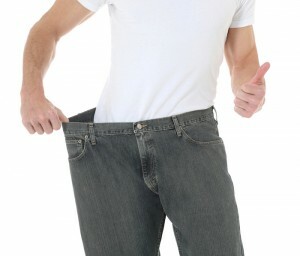 Individuals who are 18 and over and have a BMI of 30 to 40 are often good candidates for ORBERA™. This innovative treatment technique offers patients suffering from obesity a less invasive way to lose weight and reduce risks to their health. Learn more about the ORBERA™ Managed Weight Loss System.